Two UC Santa Cruz professors of film and digital media have been honored with Fulbright Awards to conduct research during the 2016-17 academic year. Sharon Daniel is a media artist who produces interactive and participatory documentaries focused on issues of social, economic, environmental and criminal justice. As a Fulbright Scholar, she will be working with the Research Institute for Art and Design in the Faculty of Art, Design and Built Environment at Ulster University to develop an interactive web documentary based on interviews with former paramilitaries and Restorative Justice practitioners in post-conflict Belfast. Daniel's work has been exhibited internationally--most recently in a 2013 solo exhibition at STUK Kunstcentrum, Belgium. Her works have also been shown in museums and at festivals in Europe and the United States, and her essays have been published in numerous books and professional journals. In 2009, Daniel was awarded the prestigious Rockefeller/Tribeca Film Festival New Media Fellowship. Her work has also been honored by the Webby Awards (the “Academy Awards of the Internet”). Daniel teaches classes at UC Santa Cruz in digital media theory and practice. 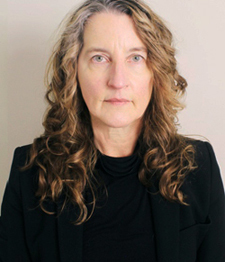 Irene Lusztig is a filmmaker, media archeologist, and visual artist. Her film and video work mines old images and technologies for new meanings in order to reframe and revive forgotten and neglected histories. Lusztig has received a Fulbright Scholar Award to work at the University of Lisbon (ULisboa), Institute of Social Sciences. She will be conducting initial archival research that will lay the groundwork for a new film project exploring colonial auto-ethnography, with an emphasis on Portuguese colonialist home movies filmed in Angola during the final years before Angolan independence in 1975. Born in England to Romanian parents, Lusztig grew up in Boston and has lived in France, Italy, Romania, China, and Russia. 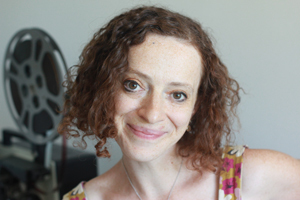 She received her BA in filmmaking and Chinese studies from Harvard and completed her MFA in film and video at Bard College. Her work has been screened around the world in such venues as the Museum of Modern Art, Museum of Fine Arts Boston, Anthology Film Archives, Pacific Film Archive, IDFA Amsterdam, and on television in the U.S., Europe, and Taiwan.